This booster seat may be used for a variety of ages. It will function forward facing with a harness for children 22 to 40 pounds or as a belt positioning booster for children 40 to 80 pounds. The lightweight design makes it easy to use while on the go and comes complete with a 5 point harness and up front adjustment. The removable cup holder stores your child’s beverages and is within an arm’s reach to satisfy them when they’re thirsty. 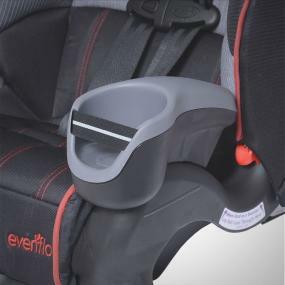 The evenflo securekid DLX is a 2 for 1 booster car seat. This seat can be used as a harnessed booster or it can be used in conjunction with your car’s seat belt. The securekid DLX can be used for children weighing anywhere from 22 pounds all the way up to 110 pounds. The new BRITAX PINNACLE 90 Combination Harness-2-Booster boasts the ground-breaking CLICKTIGHT Installation System combined with BRITAX’s leading Head Safety technologies. The PINNACLE 90 keeps your growing toddler safe and offers parents the peace of mind of a secure and easy car seat installation each and every time. CLICKTIGHT Installation System is an innovative technology that allows parents to easily achieve a safe and secure installation using a vehicle seat belt throughout the life of the seat, in harness mode, without having to worry about the weight of their child. The PINNACLE 90 offers a forward-facing, five-point harnessed weight capacity up to 90 pounds, with an industry-leading 20.5 inch shoulder harness height. The PINNACLE 90 also converts to a vehicle belt-positioning booster seat that can be used up to 120 pounds. PINNACLE 90 incorporates BRITAX’s leading Head Safety technologies to protect your child during a crash by minimizing the forward movement of your child’s head during a frontal impact. Head Safety technologies include: Base with SafeCell Technology, Integrated Steel Bars, and Energy Absorbing Versa-Tether. The PINNACLE 90 is also equipped with energy-managing Side Impact Cushion Technology, reducing side impact crash energy by diverting crash forces before reaching your child as well as BRITAX True Side Impact Protection for three layers of side impact protection. True Side Impact Protection provides an extra layer of energy-absorbing EPP foam that contains your child’s head, neck and body, keeping them in “true” or aligned, during a crash. Comfort and convenience features include: a tangle-free, no-rethread five-point harness with an EZ-buckle system, a front-adjust recline, integrated cup holders and storage, multiple buckle positions, fixed armrests, comfort foam, and an easy-remove cover. May not be compatible with all vehicles. See user guide. Easy-to-Install LATCH connectors have a quick push-button attachment/release. High-position top tether system controls forward movement of the child’s head during sudden stops or collision. One-handed harness adjustment , just one pull for a snug and secure fit. 2-Position crotch strap lengthens to accommodate growing kids. Built-in belt guides position the vehicle’s seat belts for a correct fit when the seat is used as a booster. 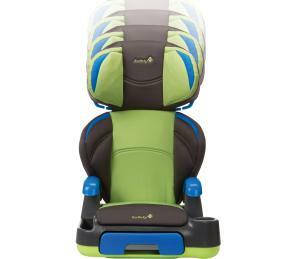 Contoured seat shell is shaped to support child’s spine and legs in comfort, even on long car rides. Deeper seat and deeper “wraparound” head rest provide superior side-impact protection. Seats are equipped with high-density EPS foam which absorbs energy in the event of a collision. Seat cover can be easily removed and is machine washable. 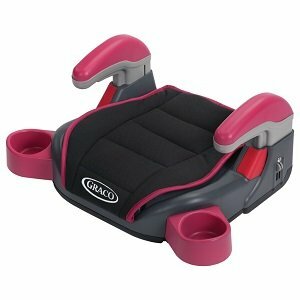 Headrest adjusts to three different positions to better fit your kids as they grow. Dual cup holders fit most sippy cups. 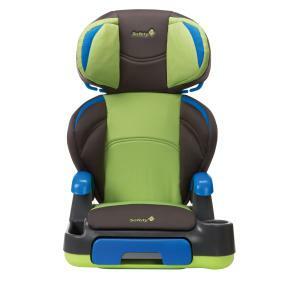 Extended-use five- point harness and larger seat accommodates kids 22 to 65 lbs- Booster seat fits 30 to 100 lbs. Patent Pending Energy Absorbing Foam. High-impact thermoplastic seat shell is engineered with ribbing and reinforcements for added extra strength and superior protection during a collision. The Britax Parkway SGL Belt-Positioning Booster Seat offers premium safety, comfort and convenience for your big kid. 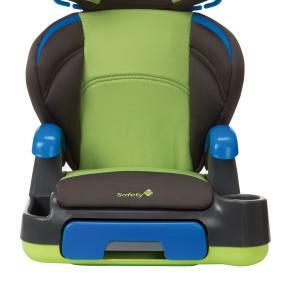 This booster seat incorporates Britax’s leading safety innovations, including one of Britax’s Head Safety technologies, a base engineered with SafeCells. The Base with SafeCell Technology is designed to keep your child safe and secure in a crash by compressing and significantly lowering the center of gravity, reducing the forward movement of the car seat. The Parkway SG also features SecureGuard anti-submarining technology and industry leading True Side Impact Protection with deep, high side walls lined with energy-absorbing EPS foam to protect your child. Comfort and convenience features include a quick-adjust head restraint, retractable cupholders, comfort foam and an easy-remove cover. 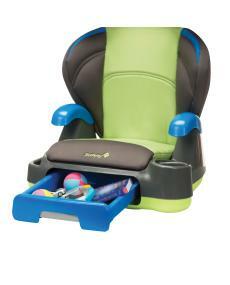 Harmony olympian youth belt positioning booster seat the ideal solution for transporting baby. This premium car seat exceeds the most stringent safety testing, and is exceptionally comfortable and easy to use. Exceeds United States FMVSS 213 and european ece 44/04 standards.for children from 30 to 110 pounds extended weight range ready for new astm standard. “Big kids” will love the bright colors of the Cotton Candy fashion. Graco’s COLORZ Backless TurboBooster car seat is a terrific option to help protect older children—kids who are ready to transition out of a harness booster, but not yet ready to ride with just your vehicle’s seat belt. According to the American Academy of Pediatrics and the National Highway Traffic Safety Administration, school-aged children should ride in a belt-positioning booster seat until at least age 8 or until the seat belt fits correctly. So, the COLORZ Backless TurboBooster car seat is designed to protect children ages 4 – 10, 40 – 100 pounds and 40” – 57” tall. 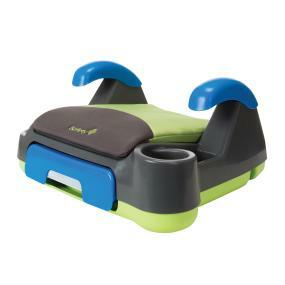 A member of Graco’s popular TurboBooster series of booster seats, this great booster is consistently top-rated by leading consumer publications. It also gets a big “thumbs up” from parents, who tend to love that it’s an economical, stylish and comfortable choice to help keep their “bigger kid” safe. Your “big kid” will love the padded arm rests, which are height-adjustable, so that they can find just the right position for the most comfortable ride. Dual, integrated cup holders are just right for holding your child’s sippie cups or water bottles The integrated cup holder and storage (for small games and toys) are added features that bigger kids really appreciate. Parents love how easy the COLORZ Backless TurboBooster is to clean! When you’re ready to clean your “big kid’s” seat cushion, simply pop it off and wash it in your washing machine with gentle detergent. Then, all plastic parts of the seat may be cleaned with mild soap and water. Simple! The sleek, modern design of the COLORZ Backless TurboBooster is sure to appeal to your growing—and increasingly independent—child, while the bright pop of pink in the Cotton Candy fashion will be just right for your “big” girl. Dual, hideaway cup holders are just right for holding your child’s cups or water bottles. The Evenflo Big Kid LX Booster Car Seats offer a 2 in 1 design that allows them to transition from a high back booster car seat to a no back booster car seat. The one hand full body adjustment allows the seat to be positioned at 6 different heights for a correct fit. The dual cup holders will keep drinks and snacks close. Give your child the comfort and protection they deserve with Evenflo booster car seats. The Amp Performance Booster is cool and comfortable. The cool colors will allow your child to express their individuality while parents know they are safe. The contoured padding is a comfortable option for long journeys. Appropriate for children 4 years and older. Protecting children is our core mission at Evenflo. For almost a century we have been a leader in safety, innovation and education. Knowing that one in four automobile accidents are side impact collisions, we believe it’s important to go beyond the current government standards when designing the next generation of Evenflo car seats, including the Amp Performance. Designed and tested for structural integrity at energy levels approximately 2X the federal crash test standard comfy. Comfortable, contoured padding, great for long journeys. Amp Seats come in a variety of colors. Always accessible elastic dual cup holders for drinks easy cleaning. Pad removes for machine washing. The Safety 1st Store ’n Go Booster lets your child keep fun within easy reach during the ride. This belt-positioning booster is designed for children from 40-100 pounds and features a pull out storage drawer that keeps kid’s gear easy-to-reach while they remain safely buckled into the seat. The drawer has a kid-friendly latch that keeps it closed once shut, but is easily opened while your child remains sitting securely in the seat. Great for keeping favorite toys or books close by during the ride. Drawer has plenty of space for the gear your child wants to keep close during the ride. Drawer includes a latch to keep it closed when shut, but is easy for child to open while buckled in. A cup holder and storage pocket are a great place for drinks and snacks. Adjustable headrest grows with your child. Vibrant color blocking fashion is both cheerful and child-friendly. Easily converts to a backless booster when your child is ready for the next stage. There’s also a built-in cup holder on one side and additional storage on the other, making it easy to keep a drink and snack close by during the ride. 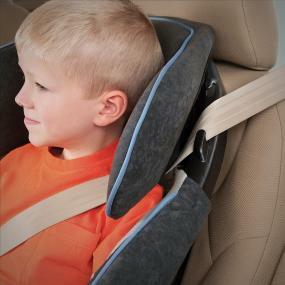 With a headrest that grows with your child, this booster will have your family traveling happily for many miles. The Britax Pioneer 70 Combination Harness-2-Booster Seat offers premium safety, comfort and convenience for your growing child that is ready to graduate from their convertible car seat.The Pioneer 70 offers a forward-facing five-point harnessed weight capacity of 70 pounds and also converts to a vehicle belt-positioning booster seat that can be used up to 110 pounds. The Pioneer 70 incorporates Britax’s leading safety innovations, including their patented Head-Safety technologies such as: Base with SafeCell Technology, Integrated Steel Bars, and Energy Absorbing Versa-Tether. These components work together to protect your child’s head by minimizing forward movement during a frontal impact. The Pioneer 70 also protects your child during side impact crashes thanks to its True Side Impaction Protection. This level of side impact protection incorporates deep side walls and a head restraint lined with EPS foam to shield and divert crash forces away from your child while keeping the head, neck and body aligned or “in true”. 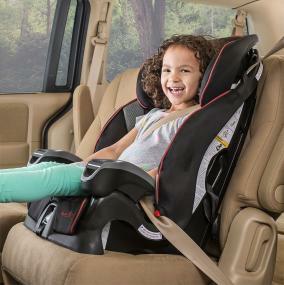 The Tangle-Free, Five-Point Harness contains your child and distributes crash forces across the strongest parts of the body. Comfort and convenience features include: an open, easy-access belt path; a quick-adjust, no-rethread harness; front-adjust recline; integrated cup holders and storage; multiple buckle positions; fixed armrests; easy transition from harness to booster mode, comfort foam; and an easy-remove cover. The Pioneer 70 provides a roomy fit with leading safety technologies to keep your growing child both safe and comfortable. Promoting a proper fit! 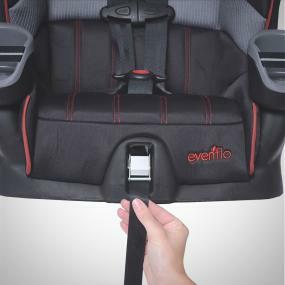 The Evenflo Maestro Harnessed Booster Car Seat features 4 harness height adjustments allowing the seat to grow with your child. Then convert to a belt-positioning booster using our auto adjusting belt path to correctly position the belt to your child. 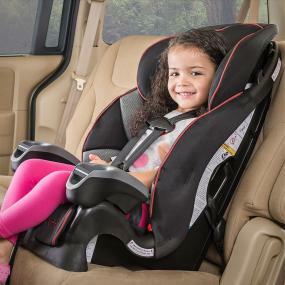 The up-front harness tightening and loosing eases getting your child in and out of the seat. Side Impact Tested with an expanded zone of protection. Designed and tested for structural integrity at energy levels approximately 2X the federal crash test standard. Designed, Engineered, Tested, Molded and Assembled in the USA. 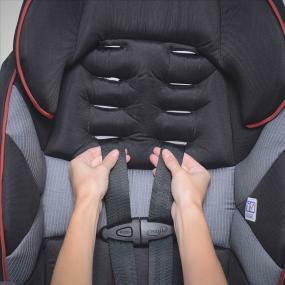 Auto-adjust belt path correctly positions the seat belt to your child for a proper fit. 4 shoulder harness positions and 2 crotch buckle positions for extended use. Simple adjustment with upfront tightening and loosening makes it easy to get your child in and out. Integrated cup holders keep drinks close without increasing the width of the car seat. Extended Use – Converts from 5-point harness to vehicle seat belt use as child grows. Simple adjustment with upfront tightening and loosening makes it easy to get your child in and out of the seat. Integrated cup holders keep drinks close without increasing the width of the car seat, allowing multiple car seats to fit your backseat. Comfortable seat pad and removable head pillow are machine-washable to keep the seat looking clean. The lightweight design comes equipped for latch systems, including tether, for easy conversion between multiple vehicles. The award-winning BubbleBum is the world’s first inflatable, foldable and portable car booster seat. It’s perfect for everyday, travel, carpools, playdates, taxis and vacations. It’s narrow design (13″ across) makes getting three car seats across the backseat easy. BubbleBum meets and exceeds all US Federal Motor Vehicle Safety Standards (FMVSS213) and is designed for children ages 4 to 11, weighing from 40 to 100 pounds. 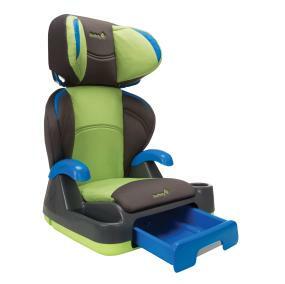 It’s the winner of the 2011 JPMA Innovation Award, the 2011 Parent Tested Parent Approved Award and ranked a 2011, 2012 & 2013 “Best Bet” Booster Seat by the Insurance Institute for Highway Safety (IIHS). It weighs just over a pound and comes with a convenient carrying bag and should belt positioning clip. It inflates in seconds with a couple of puffs of air and deflates/packs down just as quickly. When deflated, it’s small enough to fit in a child’s packpack or mom’s purse. BubbleBum’s cool and funky design appeals to kids, parents love the convenience and ease of use. Easily fit three car seats across the back seat with BubbleBum because it’s 13″ wide. When deflated, it easily fits in a handbag or backpack.